If you are lucky enough to live near a Thai supermarket then great, go wild! 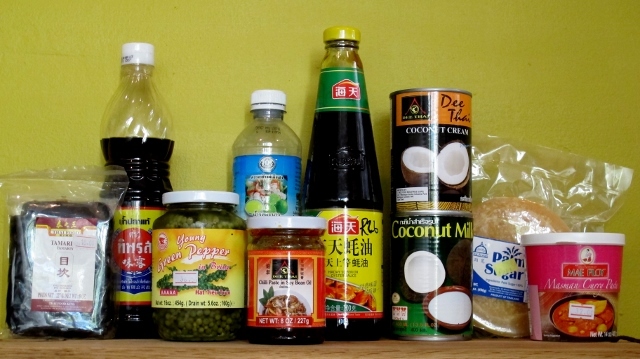 If not, most Chinese supermarkets stock a wide variety of Thai products and you should be able to source most, if not all, of your basic ingredients from them. Do not worry if your don’t have access to any Asian supermarkets as many of the essential items are available at most major food retailers. Regardless of where you source your ingredients, I would always recommend purchasing actual Thai brands as these invariably taste more authentic as they are usually geared towards a Thai palette.